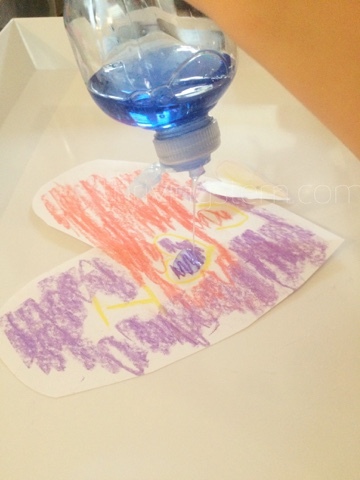 This is simple science experiment that will dress up your Valentine cards. 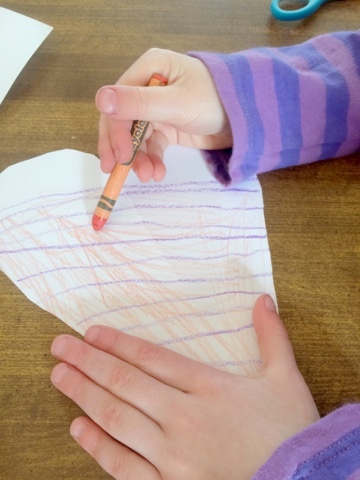 My kindergartner and I had the best time experimenting with these home made Valentines. We made some beautiful designs, and got just a little messy. This would be a great way to spend time with your favorite kids. 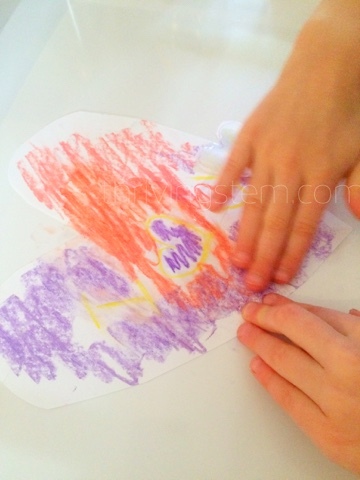 In this experiment, we were studying the effects of dish soap on various art mediums used to make valentines. Our control was the valentine before soap, and the experimental variable was the addition of soap. Now the fun really starts!Put a few drops of dish soap on each heart. Use your fingers to spread the dish soap around on each card. 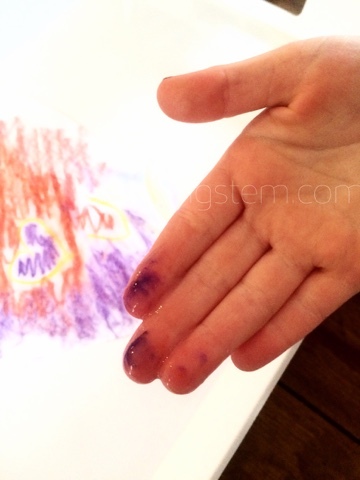 Getting messy is often the sign of great learning. We were both surprised which mediums responded most to the dish soap, and decided to let our creations sit over night. These colors ran even more. 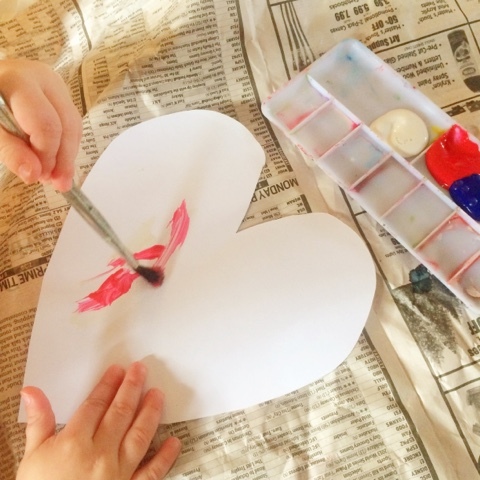 In the end, this was my favorite Valentine, but the best part was the time I spent creating with my favorite kindergartener. Ready to do a Valentines experiment with the whole class? Get your free printable directions and shopping list. 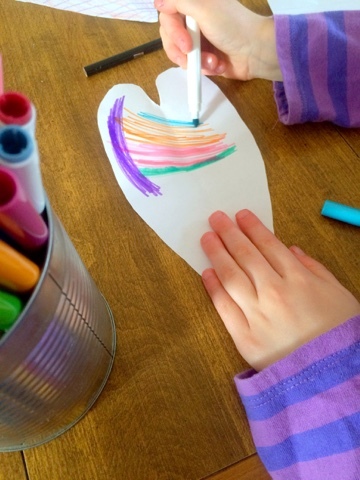 Here's some more Valentine fun and learning from my friends in the KBN Kindergarten Blog hop! How fun! I wonder if plain water would have the same effect? Pretty cool! I was curious about the same thing. Maybe I'll have to do my own experiment. This is a very fun experiment - and not one I've seen before! I hadn't either. It was her idea I just suggested a few extra materials. Combing art and science in one activity! Yes! I find most teachers and parents like it better this way. And, this child loves art and crafts right now. Great idea combining art and science! I would have never thought of doing this! How fun! What a fun sensory science experiment. This is a great way to combine art and science. Thanks! Yes, she really enjoyed it. 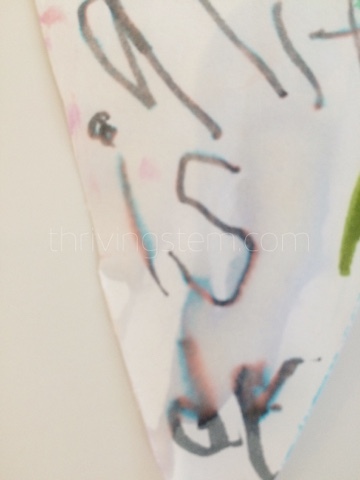 What a great process Art activity...with a pretty cool product at the end too! I might have to show this to my art obsessed grade 1! I hope they enjoy it as much as we did!